You had your lucky day then, with an insect and a bird. Nice captures. 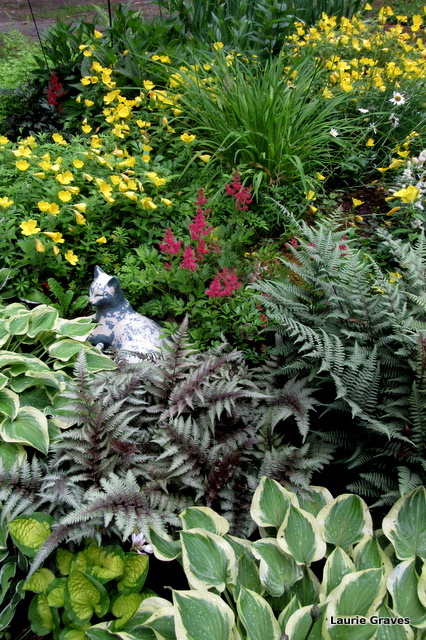 The hostas look impressive indeed and they go well with the ferns. I love the cat in the middle (it is a cat, isn’t it?). Your yard looks beautiful! Haha, you made me laugh about the hostas. 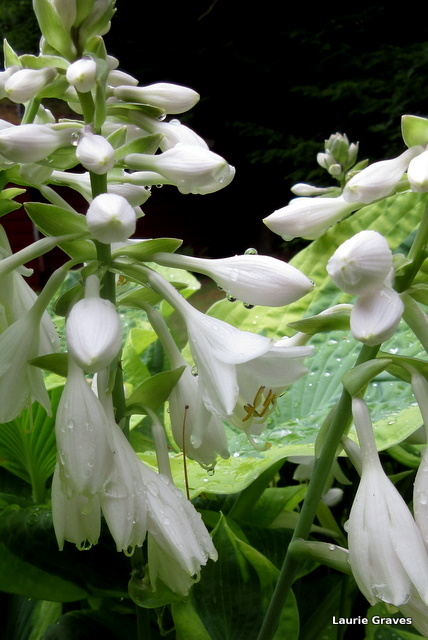 Actually, I also have lots of hostas, and I am also grateful that they are willing to grow and flower in the shady beds. Fascinating bug, no idea what it is. Lovely humming bird! Thanks, Carina. After the comments I’ve received, I’m starting to feel better about those muscular hostas. Let ’em grow seems to be the prevailing attitude, and that I will do. Thanks, Derrick. So far nobody knows what that insect is. Thanks, Judy. 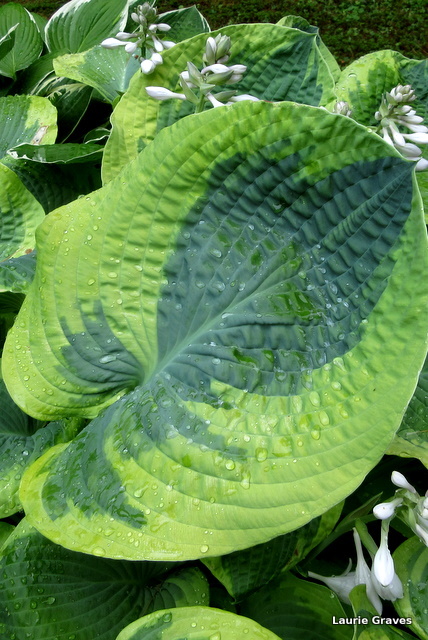 I like your attitude about hostas, and from now on it will be mine, too. Oh, sorry that you don’t have any of those feathered beauties visiting your yard. 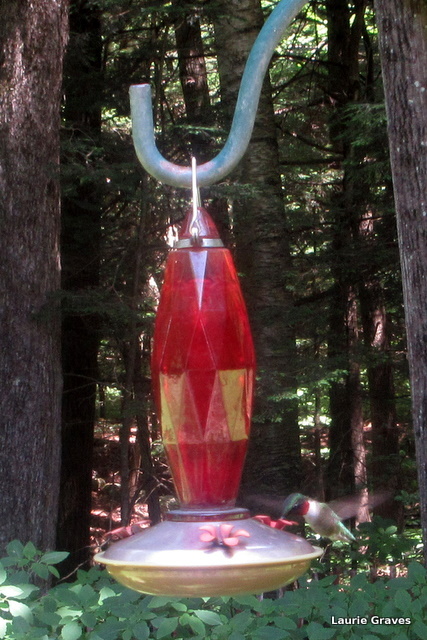 Oh, those elusive hummingbirds. Not only did you get a shot, but you captured the lovely ruby throat! Let’s hope that insect isn’t some horrible invader from down south. Thanks, Brenda. 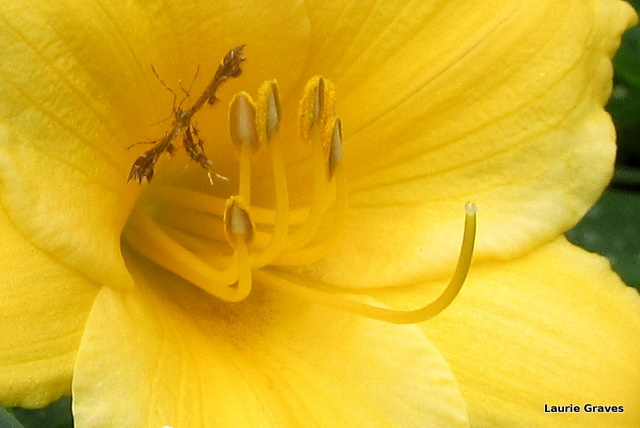 Yes, let’s hope the insect is something innocuous that doesn’t like to munch on leaves and flowers. Great hummingbird shot! And I like the patchwork look of that second photo. Thanks, Beth. 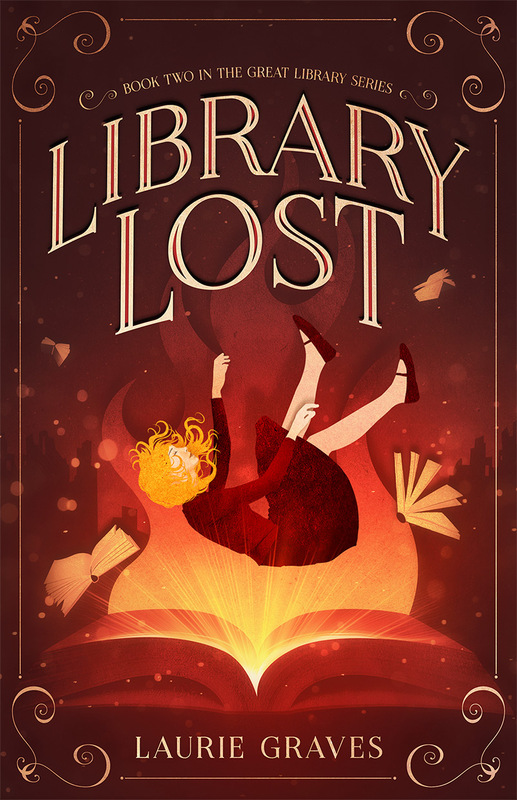 I’m having it printed with the possibility of having it for a card.